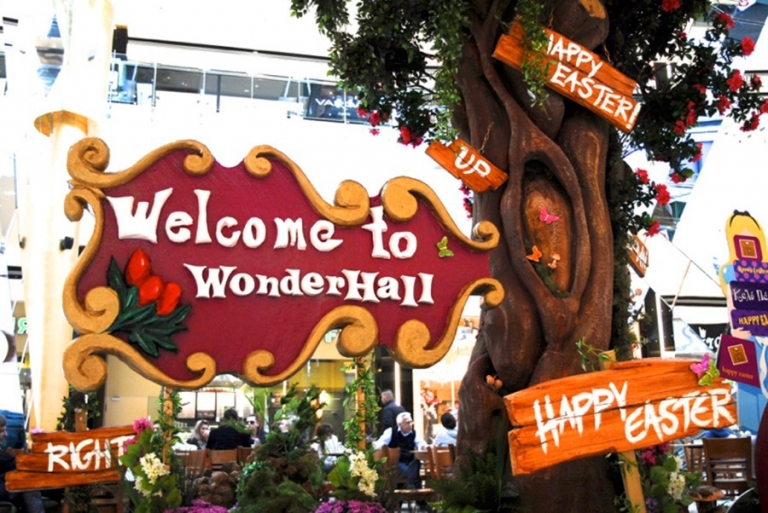 This is an Alice in Wonderland themed Easter Installation at Golden Hall! 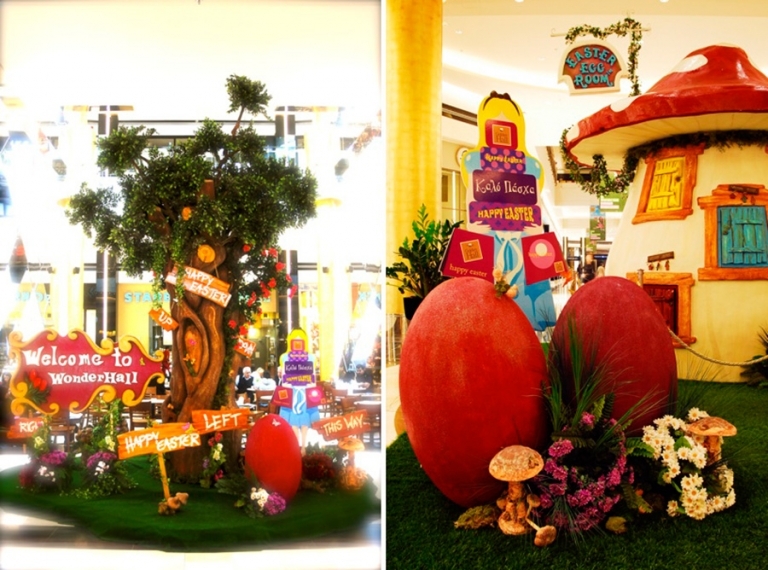 The idea came to fruition by creating a human scale labyrinth, a magical mushroom with presents for the children, a photography book where everyone could take a picture with Alice and the other characters of the book and a special area for drawing and handicraft! The special surprise of the installation was the spinning cup where our little friends could play! 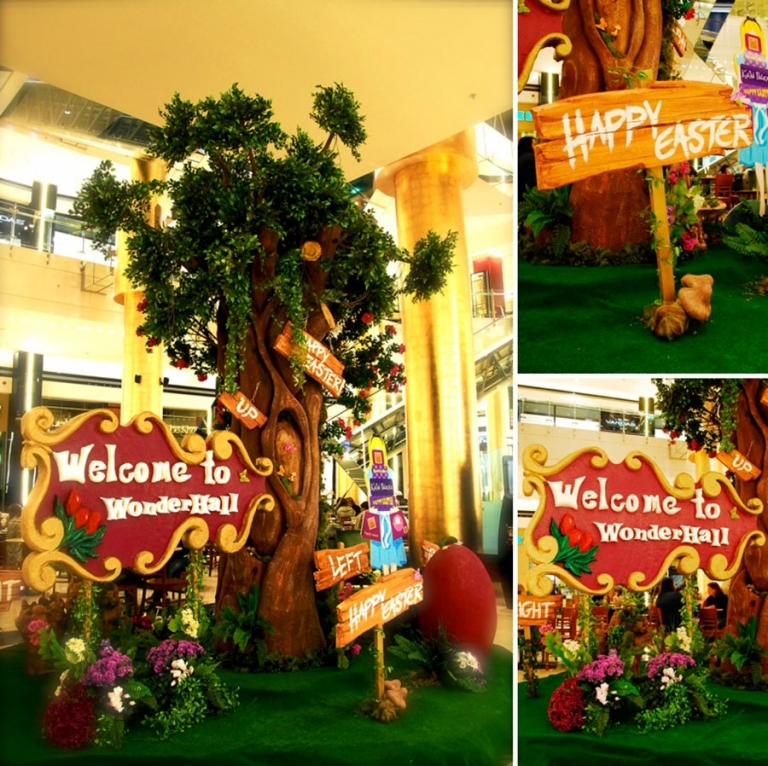 The wonderful story of Alice became true and everyone enjoyed a magical event! Is that a rabbit hole?